The ONLY design show by DESIGNERS, for designers – REKA Interiors Exhibition (RiX) is back from 1 – 4 Nov at Kuala Lumpur Convention Centre! An event of REKA Design Week 2018, RiX has so much more to be discovered from industry talks and events, product launches, social events to many more parties! Register your visit today! Welcome to RiX 2018, (2nd Reka Interiors Exhibition, Malaysia), the eagerly awaited trade exhibition for interior design, products and objects from 1-4 November 2018 at the Kuala Lumpur Convention Centre. An event of the REKA Design Week by MIID, RiX is the hub for design and sourcing for the latest and innovative collections, launches and design creations, bringing together local and international exhibitors and brands from the diverse manufacturing, supply and professional sectors. RiX will extend its appeal to the interior design professionals and the industry community who are seeking new ideas, products, information and services. The exhibition will feature concurrent industry talks and events, product launches, social events and cocktail sessions within the four-day exhibition. 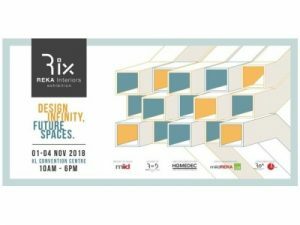 The REKA Design Week comprised of the REKA Interiors Exhibition (RiX), REKA International Design Award (RIDA), MIID REKA Conference and REKA Design Week Gala Dinner. RiX is jointly organised by MIID and C.I.S. REKA Interior Exhibition is a curated design exhibition created since 2017 with the objective to further promote interior products and services to design users; while simultaneously enhancing the interior design and its related industries. The exhibition will double the size of its space this year to accommodate a larger number of exhibitors.Design-inspired activities are also being lined-up to attract more visitors; such as the Young Designers’ Forum for emerging interior designers, the Teh Tarik session to provide insights on the current development of the industry, while continuing with last year’s RiX Talks by renowned interior designers. An award-winning exhibition, HOMEDEC returns this 7-9 April at SPICE Arena, Penang to celebrate the Home Design and Interior Salebration™ for its 15th year of ideas, fun and inspiration for a better living for Malaysian Homeowners! In just 15 years, HOMEDEC has grown into more than an exhibition. HOMEDEC has spearheaded the industry with refreshing highlights, life-sized showhome™ themes, forums as well as successful partnerships with us. Visitor flocks to HOMEDEC annually to Discover, Learn and Realise a dream home by Meeting with Industry Experts. This year, HOMEDEC will be joining hands with the some of the most premium brands in the home design and interior industry, all in all for the HOMEDEC’s Salebration™! The brands were selected by the terms of good products that are innovative and brilliantly designed and will join the HOMEDEC Salebration™ by offering exclusive deals to be showcased throughout the exhibition. Along with the other significant highlights in store for HOMEDEC visitors to #enjoylife to the most, HOMEDEC Salebration™ is all geared up to be the unmissable event of the year for all your home design and interior needs! Seriously, don’t miss it! Pre-register yourself to visit at www.bit.ly/HDPGpreregisterand stand a chance to win exclusive gifts! In continuity of its success in its debut, the joint exhibition between the perennially popular Home Design and Interior Exhibition – HOMEDEC and the Malaysian Institute of Architects (PAM) Sabah Chapter’s Property Exhibition and Ideal Home Show – IPEX, shall make its return from 21 to 23 April 2017 at 1Borneo Hypermall in Kota Kinabalu, Sabah. The synergetic alliance between HOMEDEC and IPEX served as the convergence point for the showcase of home décor and design products, property projects, architecture, building materials and services. This year, HOMEDEC & IPEX is expecting an increment of 10% in participating companies and exhibiting booths that showcases the best from exhibiting profiles such as bathroom and sanitaryware, building materials, floor and wall finishes, furniture and soft furnishing, home appliances, home security system, smarthome and switches, household and homeware products, kitchen appliances, kitchen cabinet, mattress and bedding products, roofing and insulation, stone, tiles and marble, water filtration and solar water heater, window, door and glass and many more! 2017 marks the 15th anniversary for HOMEDEC’s ideas, fun and inspiration for a better living for Malaysian Homeowners. 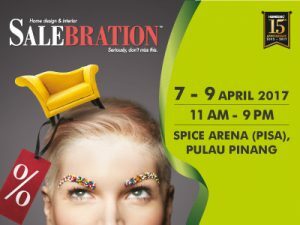 In conjunction with its anniversary, HOMEDEC will be bringing you the only home design and décor SALEBRATION™! This time around, HOMEDEC will be joining hands with some of the most premium brands in the home design and interior industry, all in all for an unmissable HOMEDEC’s SALEBRATION™! So start planning your home shopping now! Don’t forget to check out the HOMEDEC Exclusive Deals and thousands of home designs, trends and technology and innovation products and gadgets available. There’s no other SALEBRATION™ like HOMEDEC! 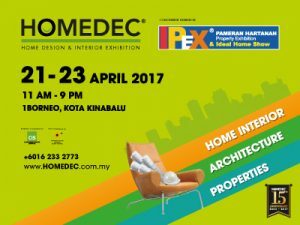 Head to the HOMEDEC and IPEX this coming 21-23 April at 1Borneo Hypermall. The doors to the exhibition will be open from 11am to 9pm. Entrance is Free. An award-winning exhibition, HOMEDEC returns this 28 April – 1 May at Kuala Lumpur Convention Centre to celebrate the Home Design and Interior Salebration™ for its 15th year of ideas, fun and inspiration for a better living for Malaysian Homeowners! In just 15 years, HOMEDEC has grown into more than an exhibition. HOMEDEC has spearheaded the industry with refreshing highlights, life-sized showhome themes, forums as well as successful partnerships with us. Visitor flocks to HOMEDEC annually to Discover, Learn and Realise a dream home by Meeting with Industry Experts. Pre-register yourself to visit at www.bit.ly/homedecpreregisterand stand a chance to win exclusive gifts! An award-winning exhibition, HOMEDEC returns this 28 July – 30 July at Persada Johor, Johor Bahru to celebrate the Home Design and Interior Salebration™ for its 15th year of ideas, fun and inspiration for a better living for Malaysian Homeowners! Along with the other significant highlights in store for HOMEDEC visitors to #enjoylife to the most, HOMEDEC Salebration™ is all geared up to be the unmissable event of the year for all your home design and interior needs! Seriously, don’t miss it! The doors to the exhibition will be open from 11am to 9pm. Entrance is Free. 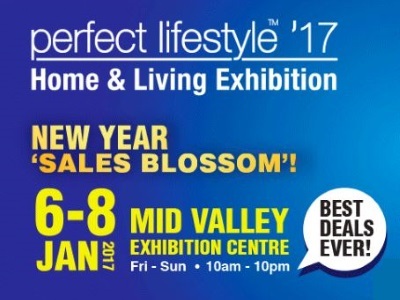 The nation’s No.1 Home & Lifestyle Exhibition, Perfect Livin once again throws open its doors to thousands upon thousands of eager home owners and shoppers this 6th till 8th January at Mid Valley Exhibition Centre(MVEC). The nation’s premier home exhibition, renowned for its breathtaking array of the very best home & lifestyle solutions is set to blow your mind away with its unbelievable choice, deals and savings. You are bound to find everything you need for your home at deals that will make you squeal in delight. The exhibition will see more than 350 booths from hundreds of industry-leading exhibitors, displaying the latest and best home products and services. Visitors can simply walk up to the experts for consultations, tips and advice on topics, ranging from home renovation, refurbishment to innovation needs – all with no obligation. The first 1,000 visitors daily are set to receive an exclusive, limited edition aluminium drinking bottle when they “check in” at the exhibition on their own Facebook profile or page. By registering their visit and writing a goodwill message to be placed on the cherry blossom Tree of Good Fortune, visitors stand a chance to win gifts such as the Tefal food steamer, Lebensstil mini fryer and Panasonic oven toaster. 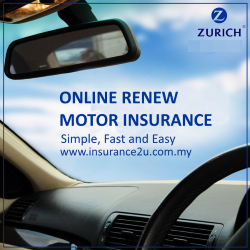 They are also entitled to redeem gifts from a range of branded items as well as get the opportunity to win over RM50,000 worth of cash vouchers for purchases of RM1,000 and above. There will also be limited edition ang pow (red packets) to be collected.